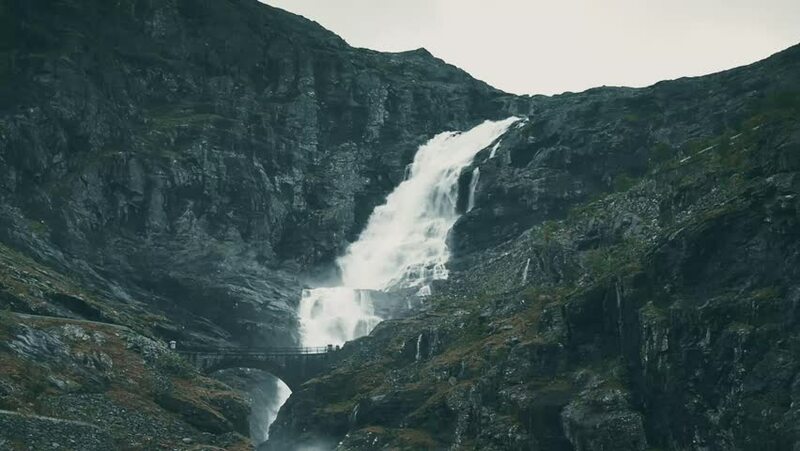 Waterfall At The Trollstigen, Norway. Graded and stabilized version. 4k00:15Aerial view of a scenic route in the valley between the mountains during a sunny summer day. Taken on Number 3 Highway, British Columbia, Canada. hd00:10Himalayas Nepal nature HD video background. Aerial view of forest valley, foggy mountain hills.